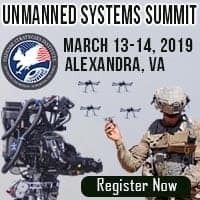 DSI’s 7th Annual DoD Unmanned Systems Summit will take place in Alexandria, VA on March 13th & 14th 2019. The summit directly supports DoD/Federal Government priorities by providing a conduit for officials to efficiently reach audiences outside of their respective offices that directly impact their department’s mission success, at no charge to the government, and in an efficient expenditure of time. DSI’s 2019 Unmanned Systems for DoD will emphasize the increased need to develop UxS technology as the national defense focus shifts from counterinsurgency back to a great power fight. As potential enemies increase their unmanned capabilities, the United States will have to develop systems of their own. These systems will have to increase warfighter functions and provide commanders with unmatched capabilities. This summit will feature the growing role of UxSs in our country’s military and focus particularly on the needs of the various services to dominate on the future battlefield. 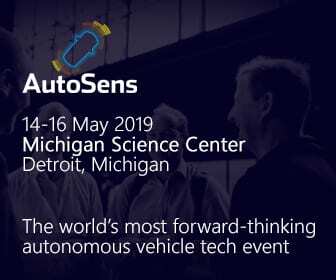 This summit will feature senior-level discussions that emphasize the critical need for common controllers and interoperability to further enhance the effectiveness and accuracy of UxS across the services. This program will allow for open and honest dialogue to solve the nation’s most difficult technical and strategic challenges while bridging the UxS capability gap among the services.